Having rhythms and seasons can help us; this is why for some, engaging with Lent can be purposeful and provide a time of discipline, particularly in the area of fasting. Ultimately, it will only heighten our anticipation of Easter, and the death and glorious resurrection of our Lord Jesus. 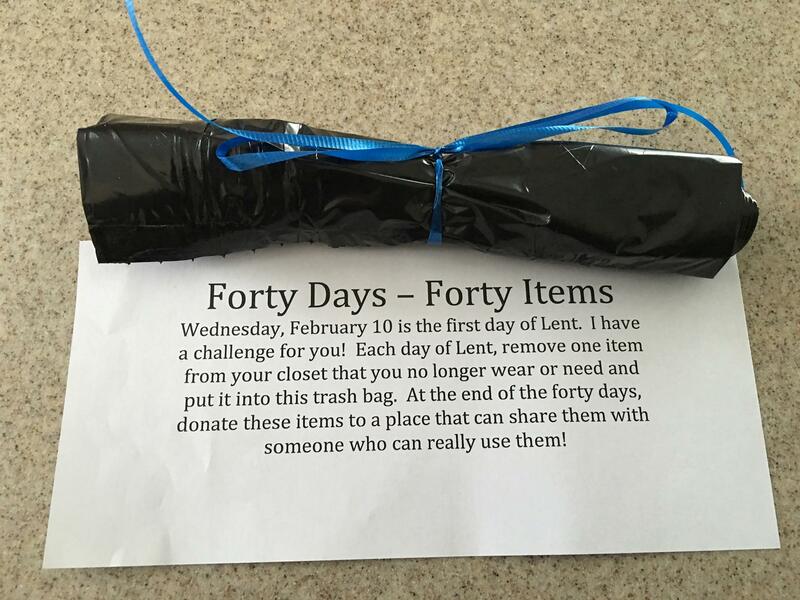 City Gaters have been sharing ways to mark the season of Lent, and how we can get involved. Here are some ideas that we have been speaking about for 2018! Would you like to find a way to reduce the amount of plastic in your life? 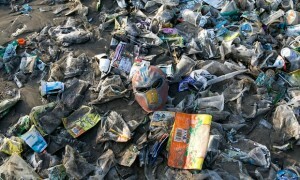 Then join Ruth Valerio and a whole lot of other people in doing a Plastic-Less Lent this year. ‘40 Acts’ from Stewardship is always good! 3. Eschew grumbling and embrace positivity! 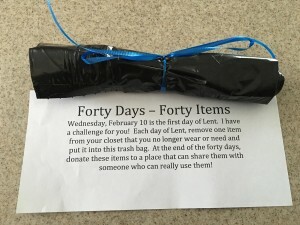 Forty Days – Forty Items: an idea that sprung up on Facebook this week! Try adding other items from around the house to make up your 40! Here is a poem by Walter Brueggemann ‘Marked by Ashes’ that will lead you into today… Ash Wednesday.